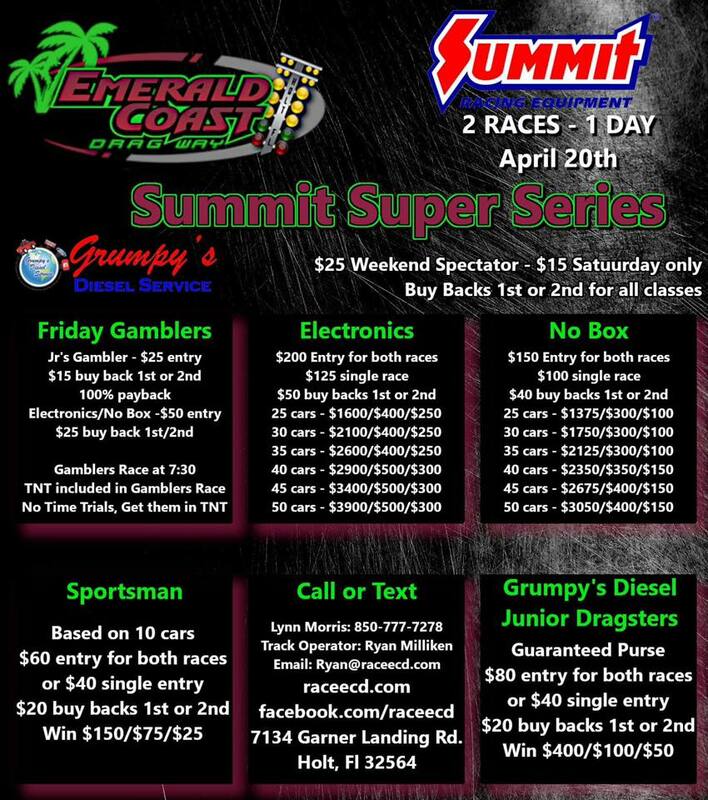 ECD is winding back up and kicking off the next several weeks of racing action with this weekend’s NHRA Summit ET Series this weekend! Friday gates open at 5PM with the track going hot at 6PM for the Friday Frenzy Test & Tune, including the 850 Top Ten list shakeup and the ET Gamblers race kicking off at 730PM. Track will be hot until 11PM, overnight camping for Saturday’s race is welcomed as is leaving your pits setup overnight. Saturday gates open at 8AM, straight into time shots for all drivers at 9AM. See attached flyer for race class details, there’s a spot for everyone from street cars and street bikes to 4 second dragsters, get in where you fit in! Those of you looking for testing, this weekend is ideal conditions between weather, track surface conditions & track time, a $50 tech card gets you on the track for testing all day Saturday and those testing will be called up as a class every round. Any questions/comments/concerns or anything at all we can help with…. 8506033991 is the track phone, 8507777278 rings our weekend’s race master Lynn Morris, ryan@raceecd.com gets a message to our inbox and of course you can look us up at facebook.com/raceecd and shoot us a message on there…. otherwise see you all soon! $10 TUESDAY – POSTPONED TO NEXT WEEK! Excess moisture throughout the weekend and not letting up until after the track’s supposed to be hot tonight for $10 Tuesday has forced our hand to postpone the event to next week. The forecast as of now for April 16th is party cloudy with a high of 79*F and not a lot of moisture leading up to it so we should be in much better shape. 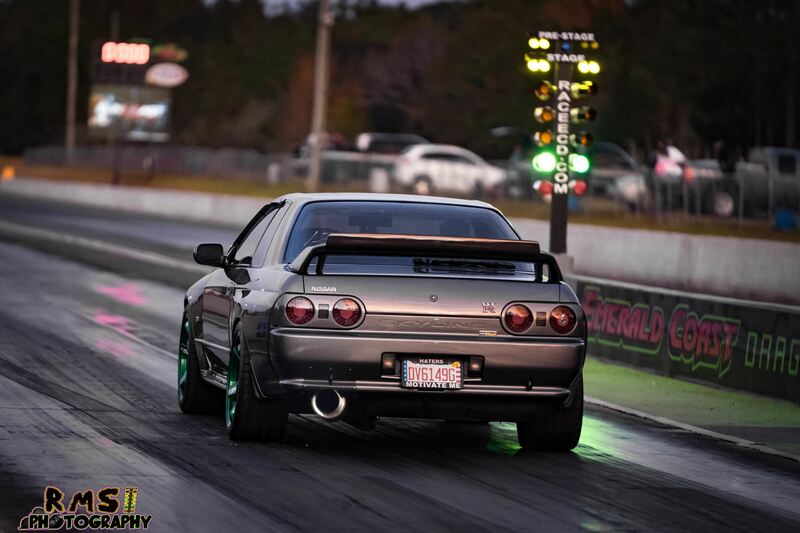 Join us April 16th for $10 Tuesday… an event aimed at fun street cars of all shapes and sizes where it’s $10 to get in, tech cards are free if you’d like to go down the track which will be hot from 6-10pm. Snack bar will be hot so come hungry & if you happen to need any type of race gas or nitrous oxide fill… we got you! NO MODS – BROUGHT TO YOU BY KEVINS MACHINE SHOP!!! Effective immediately, the ultra exciting NO MODS heads up class is now backed up by ECD’s long time friend Kevin Roberts at Kevins Machine Shop. The NO MOD’s will make their season debut Saturday May 4th and will run alongside the Pro Mods again on July 6th and October 12th. Kevin’s Machine Shop, located in Crawfordsville Florida has been in business since 1984 and offers a wide variety of products and services to keep just about any hot rod you see on the track at ECD race ready. ONLINE TICKETS – HUGE DIESEL RACE THIS WEEKEND! Save your cash and get your tickets in advance online, online ticket sales are set to shut down this Thursday March 7th, afterwards your only option will be cash at the gate. If you do the online sales, print the tickets or simply keep the tickets on your phone and getting thru the gate will be a breeze on race day. 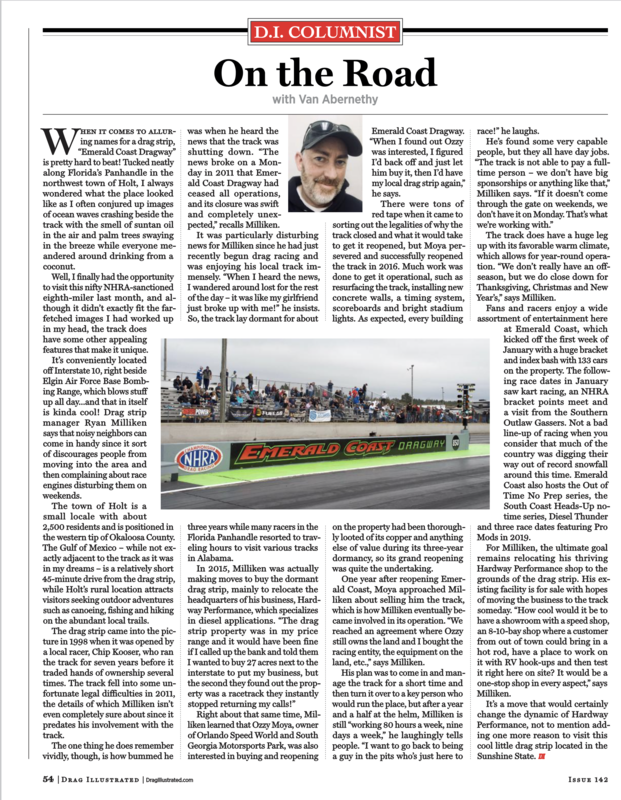 Our friends at Drag Illustrated stopped by recently to check out ECD and after a brief chat and a tour of the place we managed to make it in print. Thanks for the kudos Van Abernathy and Drag Illustrated crew, the kind words are definitely appreciated and we look forward to hopefully seeing you again out here!